This statistic ranks the countries with the most number of companies affected by business email compromise (BEC) in 2018. 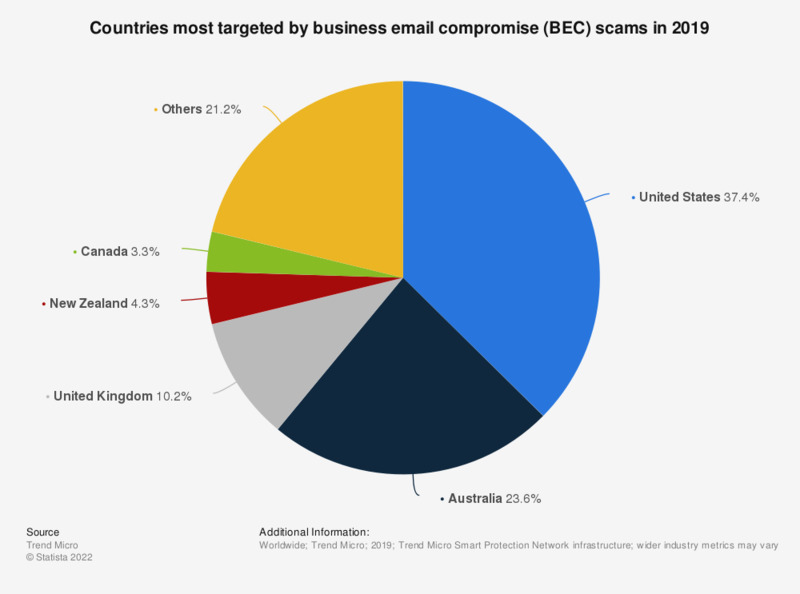 In 2018, Australia was ranked first on the list, accounting for 33.9 percent of companies affected by BEC scams worldwide. BEC = Business Email Compromise (BEC) also known as “CEO Fraud”. Data refers to the number of BEC attempts seen, which does not indicate whether the attacks were successful.